Have You Considered Growing Your Income in Retirement? Most pre-retirees and recent retirees tend to focus on the risks of investing in the stock markets rather than what we believe is a more important risk to manage, protecting your purchasing power! To understand the importance of protecting your purchasing power throughout your retirement, a helpful analogy is that of an omelet; imagine the cost of a single omelet. Back at the end of World War II, you could go to your favorite diner, put 45 cents down on the counter, and they’d cook you an omelet. Over the course of the 20th century, that price rose. Now, more than seventy years later, your 45 cents won’t even buy you an additional topping, and you’ll need somewhere around $16 to purchase the entire omelet. From 45 cents to 16 dollars--that’s a huge increase. It represents the cost of the omelet doubling about five times over the course of 70 years. The omelet gets more expensive across those decades due to inflation. Most people know what inflation is: it’s the basic economic concept that things get more expensive as time goes on. However, inflation isn’t something one can witness as readily and abruptly as, say, a sudden plunge in the price of one of the stocks they’re invested in. Inflation is more like carbon monoxide—odorless and undetectable, but if ignored, harmful to your future. Because inflation isn’t as sharply apparent as sudden market shifts, most people tend to dismiss inflation risk when compared with market risk. During their working years, they also tend to miss the creep of their daily expenses, because while items get more expensive to purchase year after year, most people are also likely making more money year after year; the pain, therefore, isn’t as apparent as the volatility they see in the markets. Talk to anyone who has been retired for ten years or more, and they’ll tell you a different story about inflation. They have a different perspective now that they’re living on somewhat of a fixed income, and the savings they’ve accumulated for this stage of their life is all they have. If they’ve done their planning right, and they’ve carefully considered the steady rise in living expenses, their retirement plan should be solid. However, those who don’t think about inflation, and who don’t factor it in as one of the major risks of retirement, may find themselves dipping into principal on their investments year over year just to be able to maintain their lifestyle. Over the past 90 years, inflation has averaged an increase of 3.1% per year. 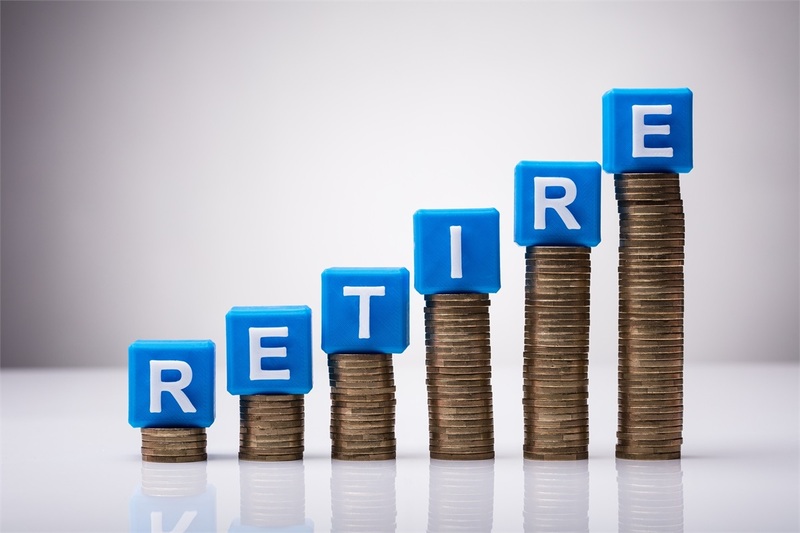 When you look at that 3% with a long-term view—over the course of two to three decades—the affect it has on retirement income is significant indeed. Your retirement won’t last seventy years, no matter how healthy you are to start out—but it will last half that, perhaps. Due to inflation, ten years from now, an income of $50,000 will need to grow to $67,851. Ten years later, that $67,851 will need to grow to $92,075.34. Ten years after that, it will need to grow to nearly $125,000 in order to buy the same goods and services as in year one of retirement. Also of notable consideration is the increase of the frequency and cost of healthcare expenses later on in life. While normal inflation runs 3.1% per year on average, healthcare is rising at more than double this annually. Any retiree’s number-one objective should simply be making sure they have a growing stream of income in retirement so that they can continue to eat their omelets in year 10, year 20, year 30, and beyond. It’s important to shift your mindset away from protecting your principal, and toward protecting your purchasing power. What is the best way to ensure a retiree's income will have the ability to grow? While the psychology of a typical retiree includes the instinct to safeguard their nest egg in low-risk investments like a cash account or bonds, what history and experience tells us is that the seemingly riskiest place to put their money—some thoughtful exposure in the stock market—is indeed the most likely by far to protect their ability to buy their omelet throughout their retirement. What is your plan to create a growing stream of income for life? To learn more, contact us today. The views depicted in this material are for information purposes only and are not necessarily those of Cetera Advisor Networks LLC. They should not be considered specific advice or recommendations for any individual. All investing involves risk, including the possible loss of principal. There is no assurance that any investment strategy will be successful.